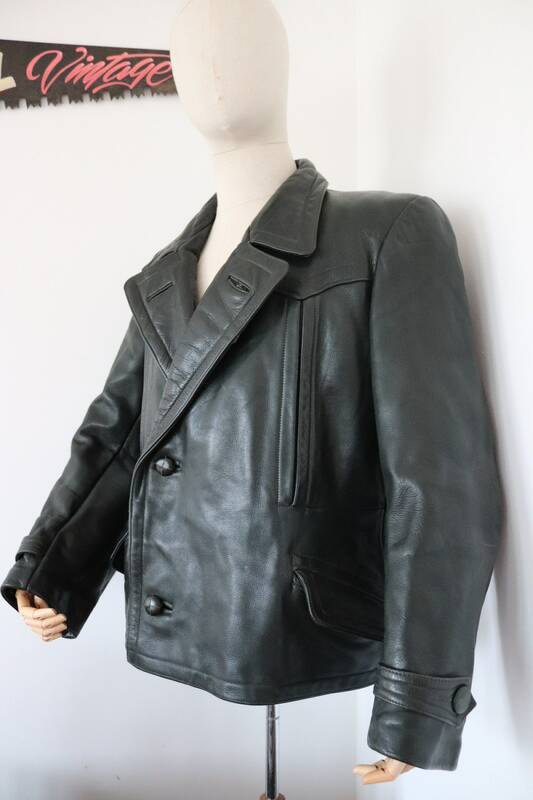 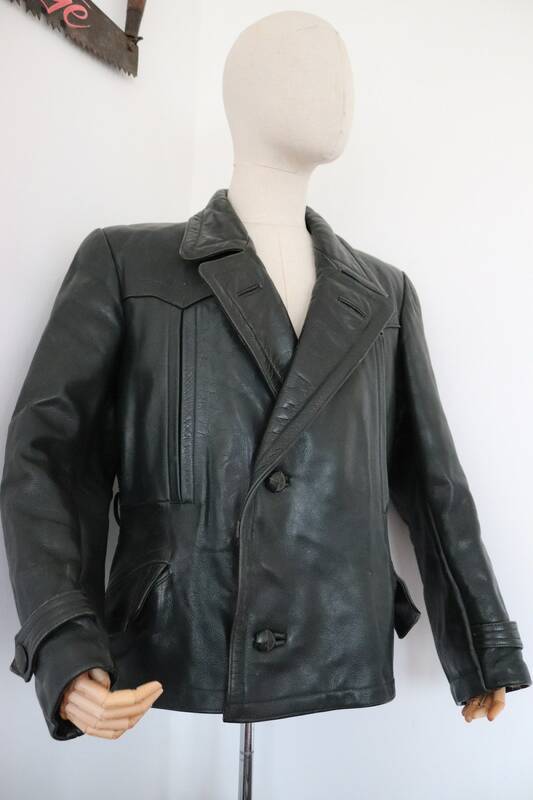 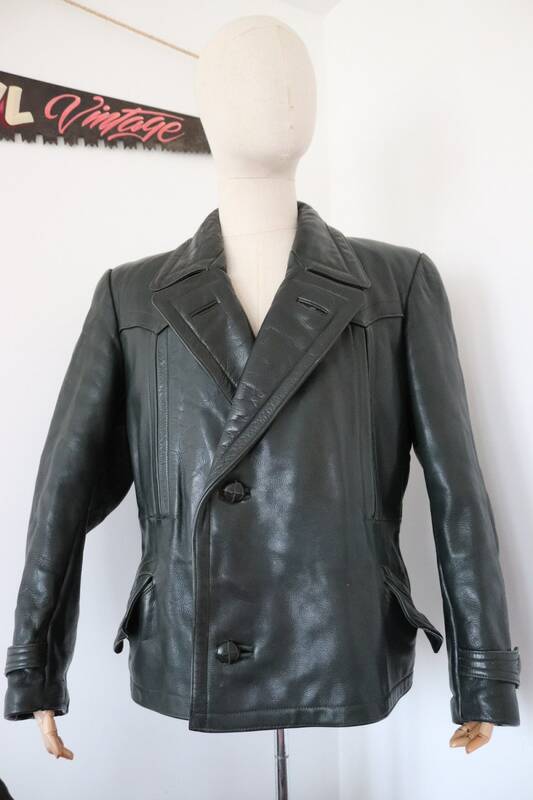 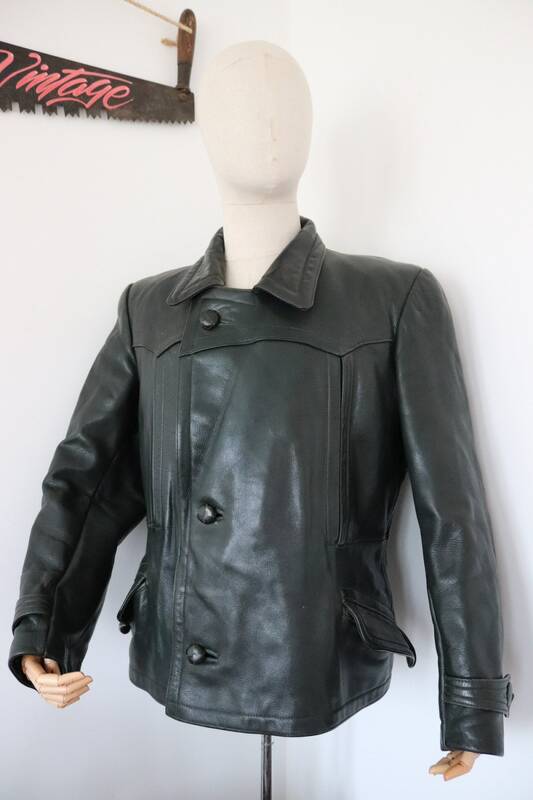 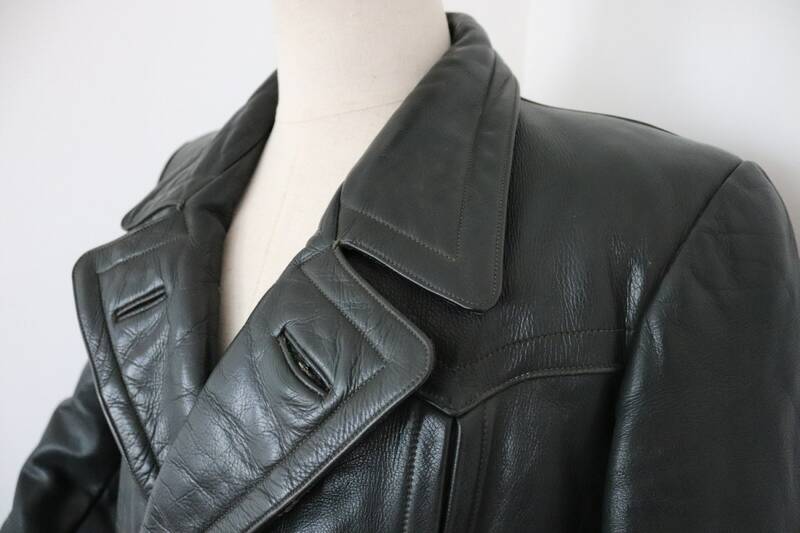 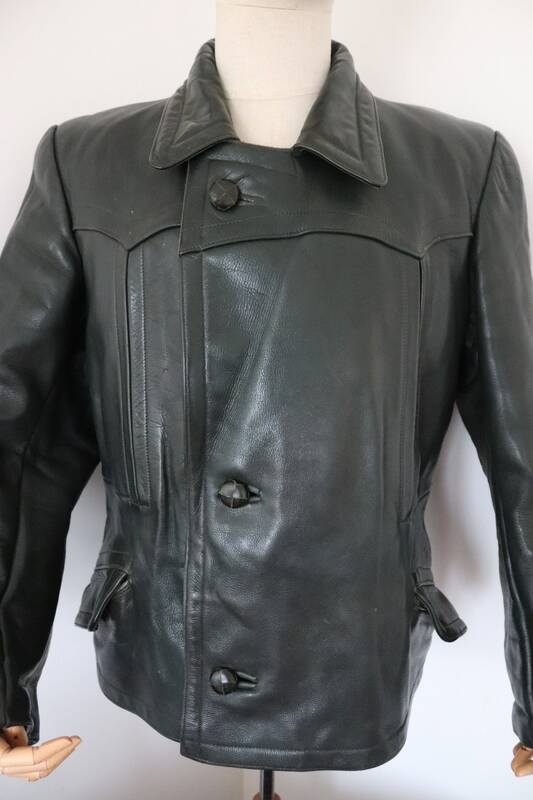 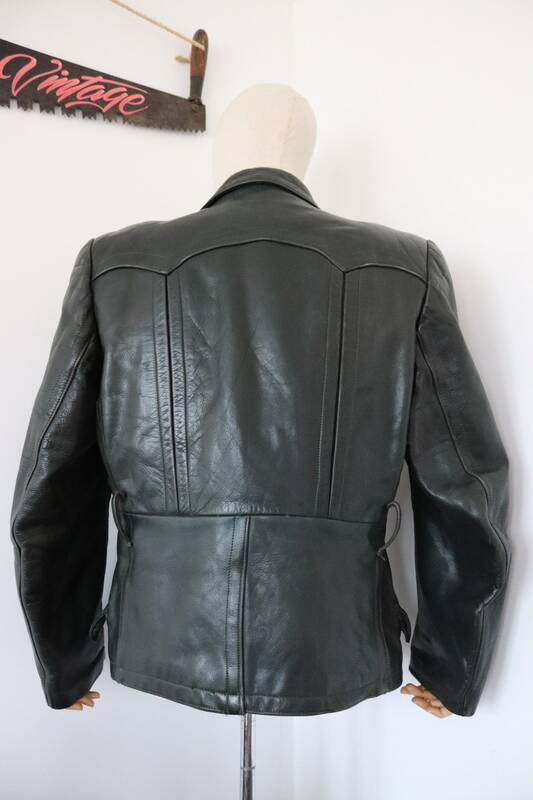 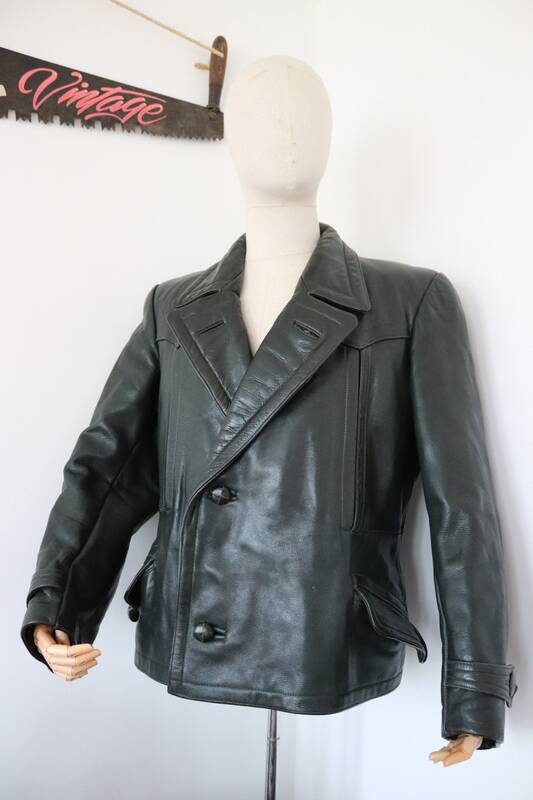 A thick, heavyweight horsehide leather jacket, dating from the 1950s. 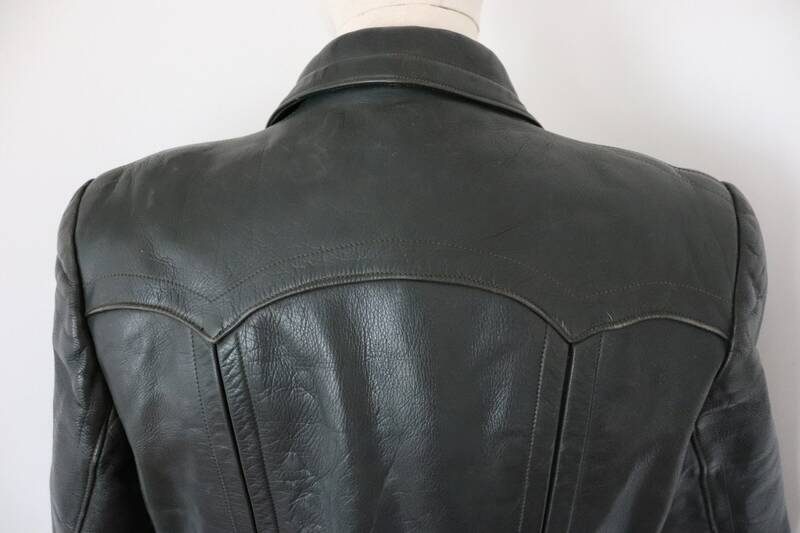 Noted flaws - missing the original belt and snap-in lining. 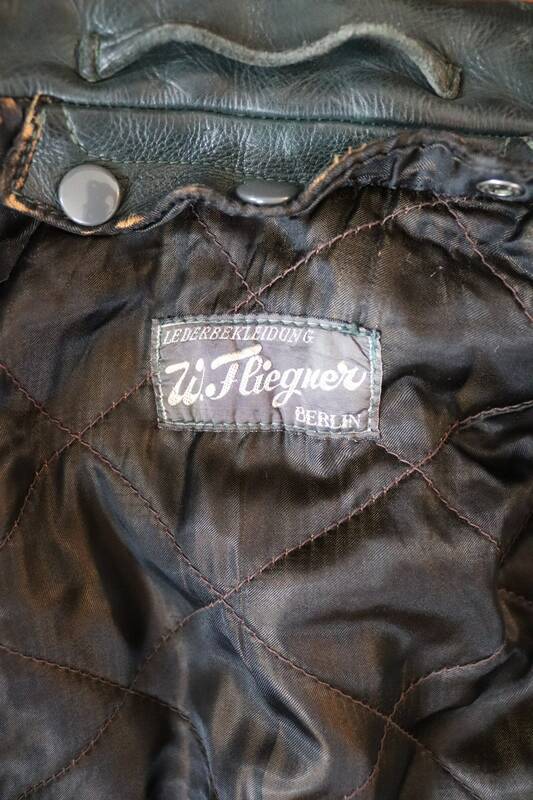 Excellent condition otherwise, full set of original buttons, very little wear to it, quilted lining, made in Berlin, excellent quality, thick, heavyweight leather, weighs almost 3kg.